Rhonda McLeod’s mother, Wanda Barzee, will be released from prison Wednesday. McLeod doesn’t know where her mom will go from there. This much is certain: Barzee won’t be living with McLeod. The two no longer have a relationship. “Where else is she supposed to go besides prison or the Utah state mental hospital?” McLeod wrote in an email. News of Barzee’s pending release has surprised and angered people in and out of Utah. That includes the then-14-year-old she once helped kidnap, Elizabeth Smart, as well as Barzee’s own family members. “I hope the state puts her in a mental hospital, and they never let her out,” said Barzee’s niece, Tina Mace. In interviews and a review of social media posts, the outrage seems to stem from a combination of factors associated with her crimes, her sentence and how it is concluding. 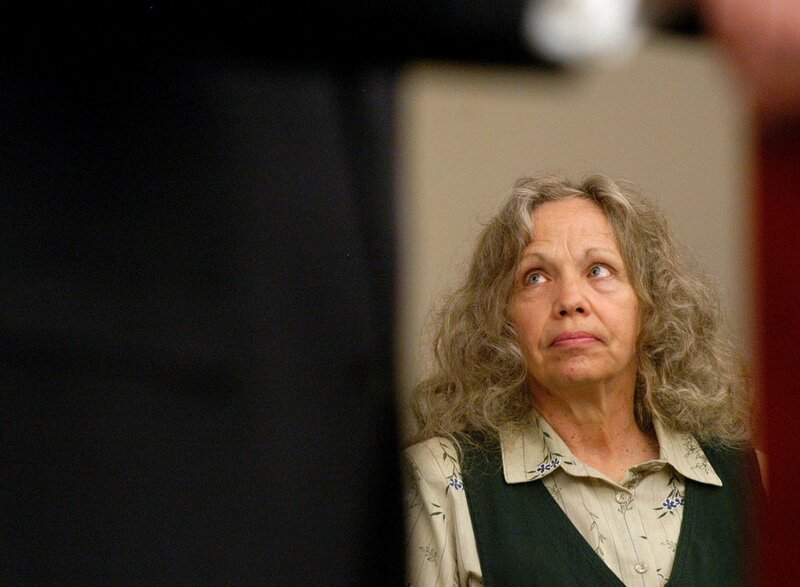 Barzee, 72, and her husband, Brian David Mitchell, took Smart from her Salt Lake City home at knifepoint in 2002. Smart has testified Mitchell raped her almost daily. Barzee and Mitchell have been incarcerated since they were found with Smart in Sandy and arrested in 2003, spending time in a county jail and at the Utah State Hospital. Then, in late 2009, Barzee pleaded guilty to federal charges. She pleaded guilty to state charges in 2010. She was sentenced to prison that year and was given credit for the seven years she had spent in custody. She was released from a federal prison in Texas in 2016 after completing her sentence in Smart’s kidnapping. But she also had pleaded guilty in state court to attempted kidnapping in connection to a plot to abduct Smart’s cousin in July 2002, about a month after Mitchell and Barzee kidnapped Smart. She now is serving a one-to-15-year sentence on that charge. Prosecutors and Barzee entered into the plea agreements with the understanding the sentences from the two courts would run concurrently — a fact Barzee’s attorney, Scott C. Williams, pointed out in filings for his client’s parole hearing in June of this year. Barzee declined to attend that hearing, where it was also revealed she elected not to participate in the Utah State Prison’s mental health evaluations. The Utah Board of Pardons and Parole scheduled another parole hearing for 2023. Earlier this week, the board announced it had reviewed the case and realized it needed to give Barzee credit for the time she served in federal prison. The confusion had some news outlets publishing headlines saying Barzee would be released early. Smart, in a statement earlier this week, cited Barzee’s refusal to participate in mental health treatment. “It is incomprehensible how someone who has not cooperated with her mental health evaluations or risk assessments and someone who did not show up to her own parole hearing can be released into our community,” Smart, 30, said Tuesday. (Rick Egan | The Salt Lake Tribune) Elizabeth Smart talks to Brett Tolman, as she prepares to speak about the pending release of Wanda Barzee, during a news conference on the steps of the Utah State Capitol. Thursday, Sept. 13, 2018. Ralf Czerny, a retiree living in Murray who complained about Barzee’s release on Facebook, said he understands Barzee is not being released early. He believes she should have gotten a longer prison sentence. “The public kind of got screwed there,” said Czerny, who worries Barzee will harm a child again. Utah has a way to commit someone to the state hospital without the person having perpetrated a crime. According to a state website, the process usually requires a mental health professional referring that person to the Utah State Hospital in Provo. If the prospective patient refuses to be admitted, the professional can seek a court order to have the person committed. Mace said she knows of no family members who will take in Barzee. McLeod, in emails with The Salt Lake Tribune, said her mother wrote all of her six children letters in 1993 disowning them.